Br. Aquinas Beale, O.P. (left), and Fr. Matthew Rzeczkowski, O.P., in the chapel of St. Dominic’s Priory, Washington, DC. Photo by George Goss. Thanks in no small part to your generosity, the Dominican House of Studies is bursting at the seams with friars in formation. To accommodate incoming student brothers, transitional deacons leave the House of Studies and continue their path to the priesthood at St. Dominic’s Priory, just south of the National Mall in Washington DC. In one of their last steps toward ordination to the priesthood, clerical brothers are ordained as deacons, a role that enables them to study, preach, and get hands-on experience in some of the ministries through which they will serve the Church as priests. “My ministry assignments have given me a sense of how busy parish life can be. It has challenged me to be more generous with my time,” says Br. Aquinas Beale, who was assigned to St. Mary’s parish in New Haven Connecticut over the summer and now serves as a deacon at St. Matthew’s Cathedral in Washington, DC. There he preaches at Mass and serves at Holy Hour in addition to assisting with a young adult group, a Bible study, and a marriage preparation course—all while continuing his theological education. The retired friars also pass on the wisdom gained from years in service to the Church. 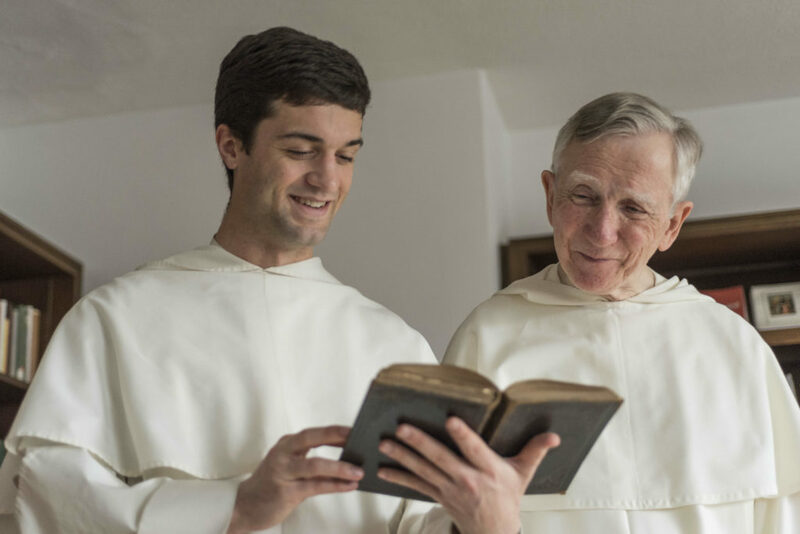 “Hearing about the history of the Order and the ministry experiences of older friars helps prepare us for our future assignments as priests,” Br. Aquinas says.